On New Year’s Eve 1937, sensible working girl Katey meets dashing banker Tinker Grey, and life is never the same. 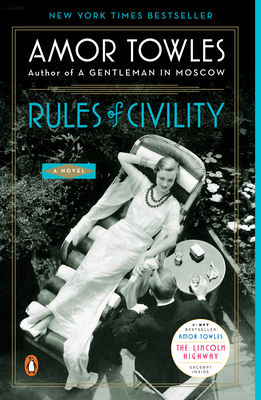 Amor Towles’ debut novel chronicles the social strata of post-Depression New York with sparkling wit and gritty realism. Wonderful characters and beautiful prose--simply a great read!